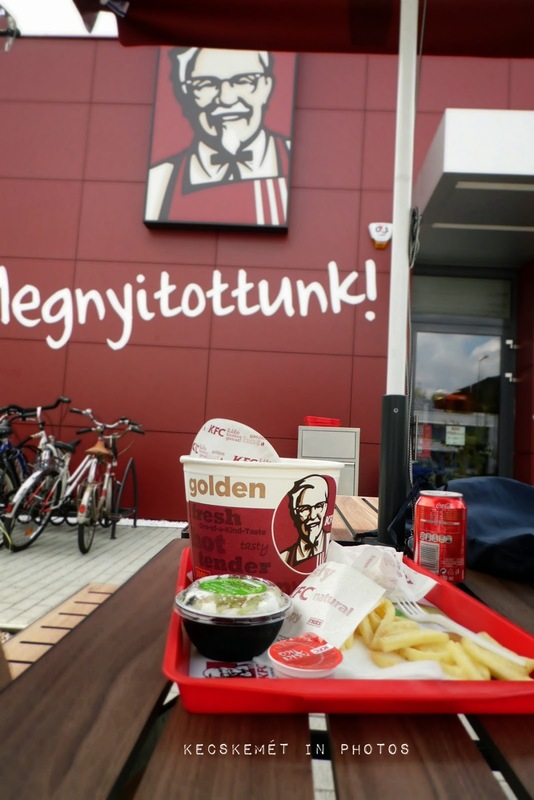 Kecskemét in photos, Hungary: The Colonel is here! One complain though the menu only comes with french fries and not whipped potatoes with gravy, otherwise the classic and spicy chickens were perfectly fried! Leaving out the mashed potatoes is a huge oversight! The potatoes and the biscuits are my favorite things about KFC. yeah the kids here obsessed w french fries! Haven't tried w biscuits tho..